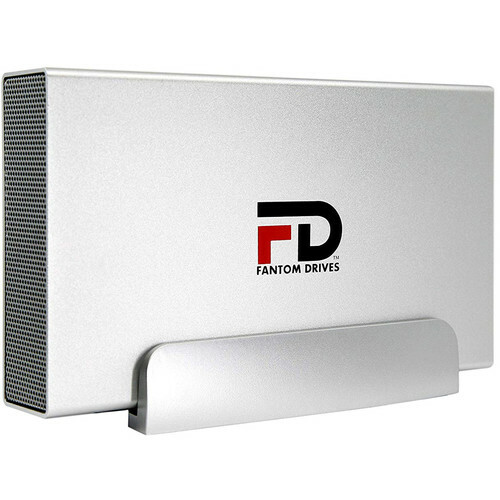 Bring 3TB of your data with you and transfer it to or from your computer via USB 3.0 with the silver-brushed 3TB G-Force3 Pro USB 3.0 External Hard Drive from Fantom. The G-Force3 Pro features data transfer rates of up to 5 Gb/s, a rotational speed of 7200 rpm, and compatibility with Windows and Mac computers. Please be aware that the drive comes formatted in the NTFS file system for Windows and will need to be reformatted for use on a Mac. The drive is powered using an included AC Adapter that operates at 110/220V. Also included with this drive are a USB 3.0 cable and a drive stand. Box Dimensions (LxWxH) 10.7 x 8.9 x 3.4"